Cyanoacrylates (CAs) have become the adhesive of choice for most hobby and household applications. High quality CAs such as Insta-Cure, when used properly, form bonds that in many cases are stronger than the material that is being adhered. Insta-Cure is a highly refined CA which, combined with its freshness, gives a guaranteed two year shelf life.Maxi-Cure is an extra thick CA that is best for most plastics and works better than any putty for modifying or filling voids. It can be carved with a knife or razor blade and sanded and feathered to form a finish indistinguishable from plastic. 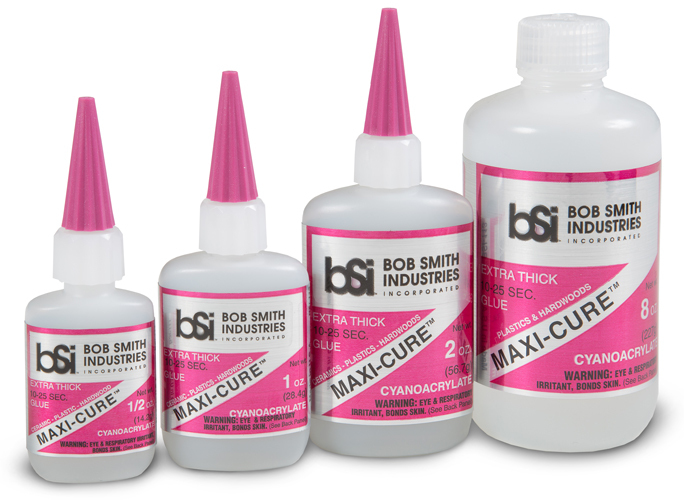 Bonds fiberglass, hardwood, metal, and rubber better than any other hobby adhesive.